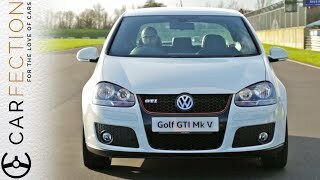 A look at my old Golf MK6 SE before part exchanging it for a new Golf MK7 Match Edition with 1.4TSI 125ps engine. 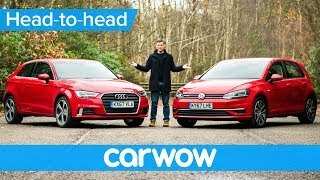 Nice to watch a completely no drama review....these are the car's, this is how they look outside and in, a few comments on features - job done! I was waiting for beastie boys or something to come up on your track listings lmfao. Very good review. Thank you Mr. Hickson. Would a mark 7 be a good first car? Yes why not? 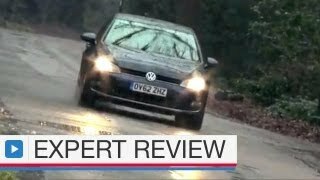 There were, according to various Golf forums a few problems with early models with alleged rear suspension noises and poor wiper action. My 2016 Reg car shows none of these however. Great video sir. 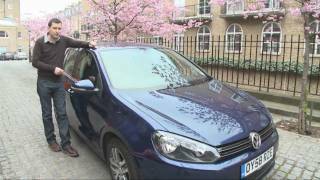 I have a high spec late 2012 mk6 Golf 1.4 tsi 125ps. Very happy with it, it has the xenon headlights, privacy glass, big multimedia screen (RCD310), and many more factory options. Only thing is, wish I had the DSG! 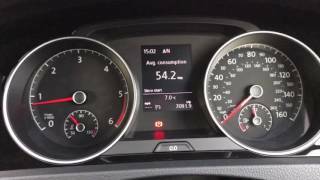 took a 2.0tdi mk5 with the auto, and it is such a good gearbox. Maybe on a mk7 in a year or so! Thanks for your interest. 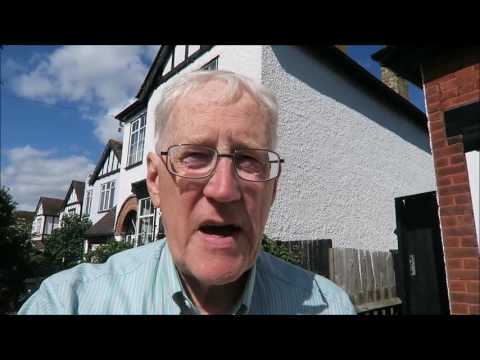 As a very old codger I am always surprised that anyone would watch my few videos. Thanks this was informative, hope the car serves you well. Agree, more tech just means more that will/can go wrong. I've had an MK4 10 years and it's done 150k miles, time for an upgrade but nothing else seems to tick all the boxes like a Golf. The MK6 I had for nearly seven years and was a great car. I thought a new model was bound to be better but not really. Lots of tech but do we really benefit from it? Sorry to hear that, surprised it was a repair as opposed to a write off. 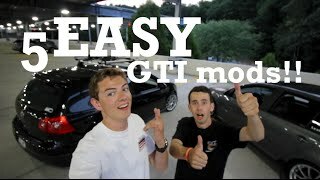 I'm on a old Mk4 Golf considering an upgrade to a Mark 6. Ah happy days. Some one hit my car in July this year , smashing front O/S wheel, wing, headlight, front apron etc. Also drove me into kerb ruining two nearside Alloys and ruining 3 tyres. VW body shop did excellent job of restoration BUT car not the same as now has funny droning noise from running gear which is defying them now. More tests on car next month. If not satisfied I will dump it. Very good quality car and a very sensible choice for many reasons including resale value. 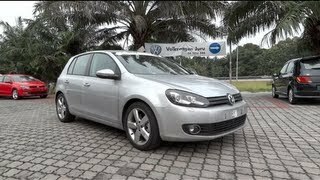 I'm currently saving up for a Mk 6 1.6 TDI with an automatic DSG gearbox. I'll be looking for one come Christmas time. can't wait to get a decent car again after i lost so much money buying an old classic rubbish MK2 Golf GTI. 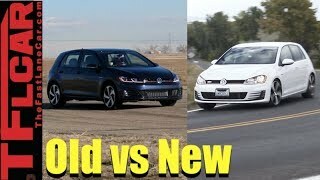 I'm planning on buying a VW Golf MK7 with either a 1.2L or 1.4L petrol engine as a car for my dad as my first car. The MK7 is definitely an attractive car especially with those some what aggressive angles. 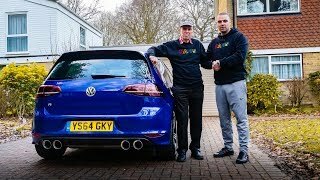 My family loved our previous Golf which was a MK5 1.6L FSI always a reliable car. The thing that had me curious was the electronic hand brake as the MK7 will be my first car it will be different getting used to after passing with an actual hand brake lever. 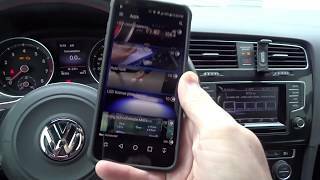 I wonder how well this works with the Automatic DSG Gearboxes on other golfs? I'm worried it might be too mechanically labour intensive on the components over time. I understand you concern. Believe me, I put off getting this model for over 3 years because of that one feature alone and it was only until I got up courage and asked for a test drive last year did I realise how good it was and that's after nearly 60 years driving cars with mechanical handbrakes.The Electronic handbrake and its associated Autohold buttons are adjacent on the centre console just to the rear of the gear lever. I leave Autohold actuated all the time and this means that when I come to a halt on whatever incline or on the flat, the car stays where it is until you release the clutch and pull away. On parking up and either turning off the ignition OR releasing your seat belt OR opening the driver's door, the Autohold automatically puts the Electronic Parking brake on as indicated by a red letter P on the instrument's display and you can also hear the motors on each rear wheel 'whirrr' a bit as they apply the brake pads on the calipers. When you start the car, all you do is engage 1st gear and release the clutch and the handbrake releases automatically, and off you go.Ask me anything else you want to know. as I'm always here. Very good review. 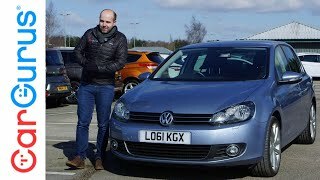 I'm looking at getting a second hand golf either low mileage mk6 or low mileage mk7 for the mrs. Torn between the two at the moment. Well Nick you certainly have a choice then. 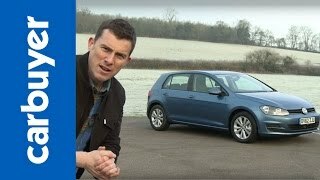 The MK7 has now been out nearly 4 years? I was put off this model for so long because of the Electronic handbrake and Autohold but have to say that, at the moment, these are some of the best features of the car. Of course all this depends on the reliability of the system in the long term. Mine is currently faultless in operation as you'd expect from a new car! Hi does this car feel much faster than your old 1.4 do you think it would be a good first car? Initially it didn't because strangely it seems noisier is certain respects as though the weight savings have included sound proofing etc. It is somewhat faster as is develops more BHP and is 100kg lighter. 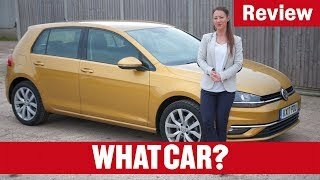 The MK7, or indeed a good MK6 would make a good first car but hey, there are so many used cars standing on garage forecourts. i wish i got the silver also! i got the black GT. Yikes! I'd be forever trying to clean that colour. Always had Silver cars, where possible. My car stands out on the driveway but if I lived, say, in California then perhaps a black or white one might be on the cards.